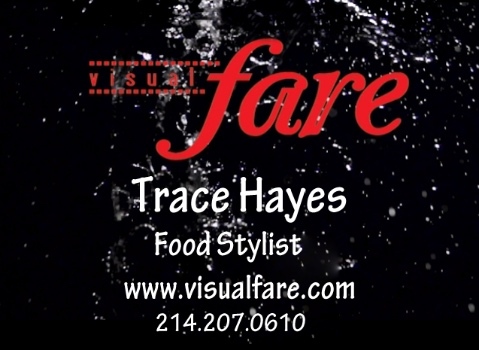 Trace's food images have splashed, simmered and dazzled in national advertising, cookbooks, magazines, billboards, television and film for over 20 years. He has been controlling, designing and presenting food for nearly 4 decades and the deep understanding of how food "behaves" reflects his original training as a seasoned chef. Artistically, Trace's sense of color and design is a huge asset to the collaborative working effort involved in shooting food. Off the set, he continues to invent new methods and tools to produce a more controlled and efficient workflow. The Epicurean award-winning food stylist’s attention to detail, calm demeanor, and extensive food knowledge have attracted a strong client base for print and video including: Canyon Ranch Spa Cookbook, and Top Chef University. The food empires of Wolfgang Puck, Charlie Palmer, Michael Mina, and Emeril Lagasse have all contracted with him for their specialty food projects. On the film front, he has produced food for Tyson, Lay’s, Everybody Loves Raymond, Sonic Drive-In, Las Vegas Vacation, and The Food Channel, to name a few. His passion for food began in the early 70's while working at the Stanley Hotel in Estes Park Colorado. He later opened the Inn of the Mountain Gods in Ruidoso, New Mexico, where famed Chef John Frye, intensively trained him to become Executive Chef for the Resort. He remained there until relocating to Tamarron Resort in Durango Colorado as Executive Garde Manger. He was Chef Owner of his own restaurant Trace's Steakhouse, and years later opened The Mirage in Las Vegas as Executive banquet Chef. While working there, he met a photographer that commented "You should be a Food Stylist" and as they say, the rest is history. In 2006, Trace relocated from Las Vegas, Nevada to Dallas, Texas where he styles food full-time for both national and international clients including Bacardi, Patron, Dewers, PepsiCo, Albertson's, Tom Thumb, McDonalds, Chili's, Mission Foods, HEB, American Airlines, Sam's Club, Wal-Mart, Church's, Golden and Lee's Chicken, Royal Caribbean, Cyan Design, Frito Lay, Bimbo USA, Avocados Mexico, TiaRosa and Yum Brands inc.